Amazon Dot Echo Kids Edition started shipping this week, but children's advocates and others are asking parents to hold off on buying the $79 version of the company's market-leading smart home speaker. Like the Echo, the Dot Echo Kids Edition is voice-activated and powered by Alexa, the Amazon virtual assistant at the beck and call of millions of Echo users. Some uses: Kids can ask the devices to play music for them, and parents can use the devices as intercoms to call the kids for dinner. But some groups are worried about how the brightly colored devices—which come with a subscription for access to FreeTime, whose offerings include children's content such as books (Alexa can read to them) and apps—will affect children's well-being and privacy. "Amazon wants kids to be dependent on its data-gathering device from the moment they wake up until they go to bed at night," said Josh Golin, executive director for Campaign for a Commercial-Free Childhood, in a statement Friday. "Echo Dot Kids is designed to encourage children to give up their personal information so it can drive even more revenues for the e-commerce colossus," said Jeff Chester, executive director for the Center for Digital Democracy, in a statement. Also Thursday, a couple of lawmakers sent a letter to Amazon echoing similar concerns. Sen. Ed Markey, D-Massachusetts, and Rep. Joe Barton, R-Texas, addressed questions to Amazon CEO Jeff Bezos and asked for a response by June 1. An Amazon spokeswoman said Friday the company has received the legislators' letter and will address each of their questions—some of which she answered in an email to this news organization. For example, Markey and Barton asked whether the Echo Dot Kids Edition records children and whether parents can delete those recordings. 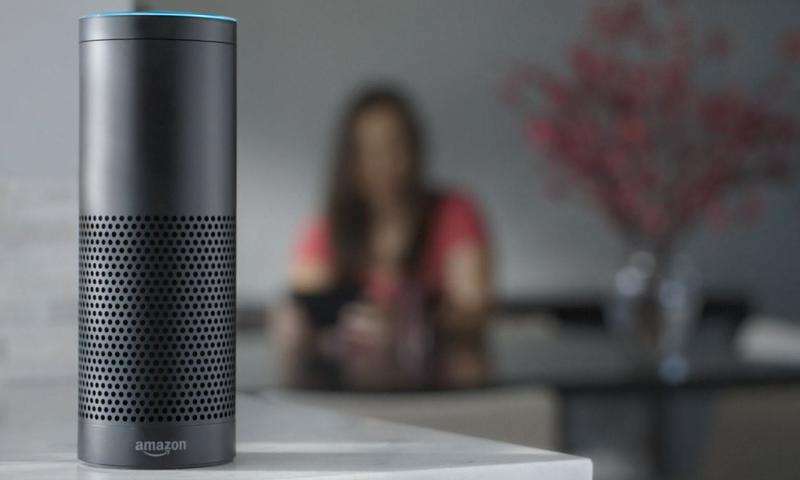 "Parents can access all their children's voice recordings in the Alexa app, and delete them individually or all at once, which also deletes them from the Amazon server," the Amazon spokeswoman said. She also addressed the congressmen's and child advocacy groups' concerns about marketing to kids: "FreeTime on Alexa voice recordings are only used for delivering and improving the Alexa voice service and FreeTime service—they are not used for advertising or Amazon.com product recommendations." Amazon said the Echo Dot Kids Edition and FreeTime service comply with COPPA, the Children's Online Privacy Protection Act. Amazon's privacy policies about its Alexa and its Alexa-powered devices can be found here. Amid widespread concerns about tech addiction, some experts voiced questions about child-development issues. "I worry about the unintended consequences of the world of an always-on, artificial device being marketed specifically for parents to ensconce their child within," said Dr. Dipesh Navsaria, a pediatrician who's a board member at CCFC. Amazon said the Echo Dot Kids Edition can only be activated with the "wake" word, and has a mute button that disconnects the microphone: "This is by hardware design: no power equals no audio in."